These high quality 5 Litre RAKO containers offer exceptional strength and durability to provide a long service life in even the most demanding environments. Euro stacking containers are used mainly for practical storage and distribution of goods in factories, warehouses and distribution centres but are equally useful in stockrooms and workshops. Each box is made from impact resistant Polypropylene that can withstand the demands of everyday use. This 5L variant has external dimensions of L300 x W200 x H120mm and as such will stack onto both 300 x 200 and 400 x 300mm containers. 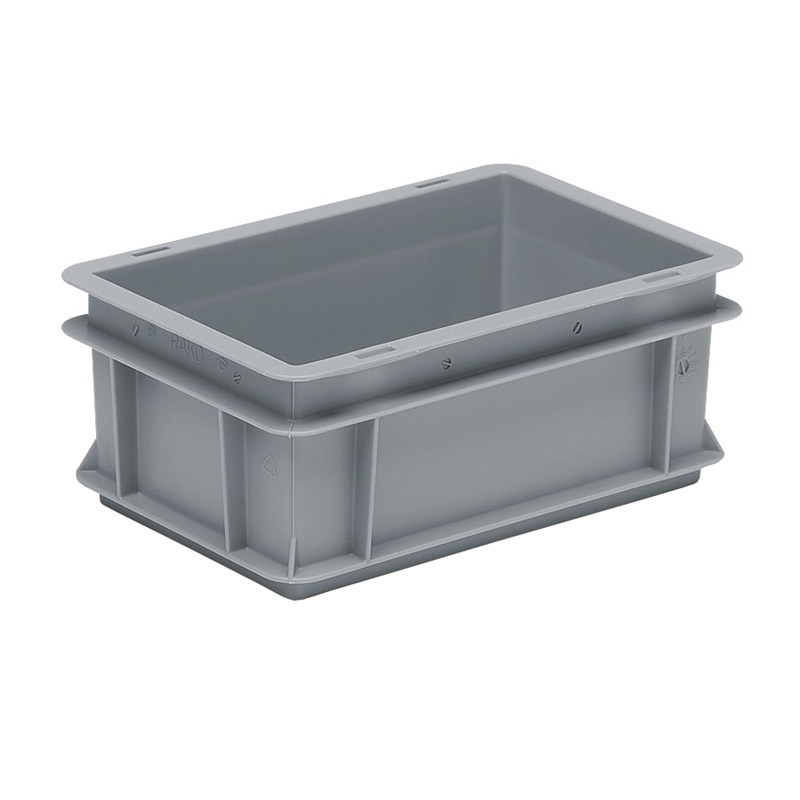 Plastic euro boxes are designed to build compact and stable loads based around standard pallet dimensions. We offer a full range of sizes to buy online. For large volumes of containers please contact us for a quotation.